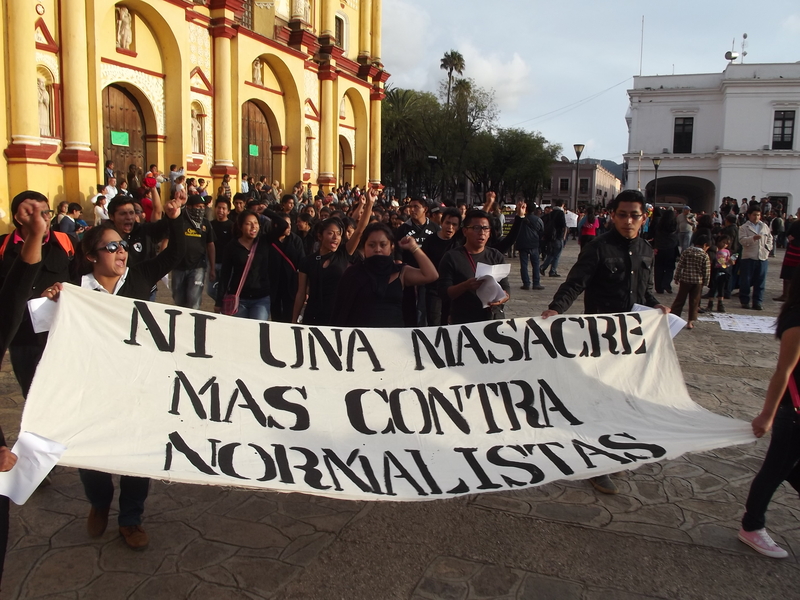 On 8 October, in at least 25 states of the Mexican Republic and in different cities of the U.S. and Europe, millions of persons marched to demand the appearance with life of the 43 disappeared normalist students of Ayotzinapa, and to demand justice for the 6 who were murdered and more than 20 who were injured during the events of 26 and 27 September. Following these acts, 22 municipal police were arrested by the authorities in Guerrero, in addition to four suspected members of the United Warriors cartel. Federal and state experts are analyzing if the 28 recently identified corpses from mass-graves correspond to those who have been disappeared. 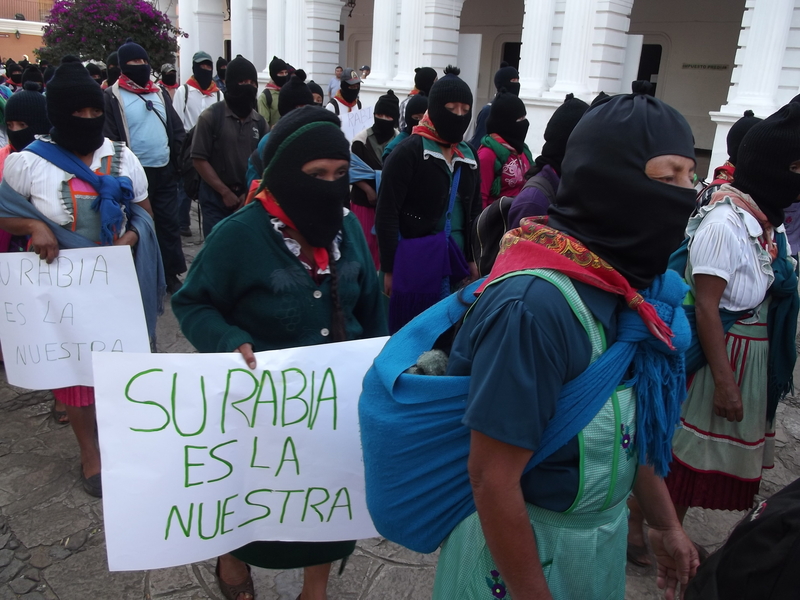 Beyond this, the Revolutionary Army of the Insurgent People (ERPI) announced the creation of a “justice brigade” to confront drug-trafficking organizations in Guerrero, particularly the “United Warriors” cartel, who are presumed as being responsible for the violence seen in Iguala. This entry was posted on Sunday, October 12th, 2014 at 8:59 am and is filed under Chiapas, Disappeared, Guerrero, Human Rights, Human Rights Defenders, Indigenous people, Justice system, Mexico, Militarization, Oaxaca, Paramilitary, Political Prisoners/Prisoner of Conscience, torture, Women, Youth. You can follow any responses to this entry through the RSS 2.0 feed. You can leave a response, or trackback from your own site.